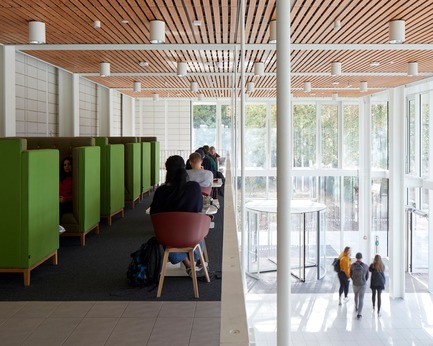 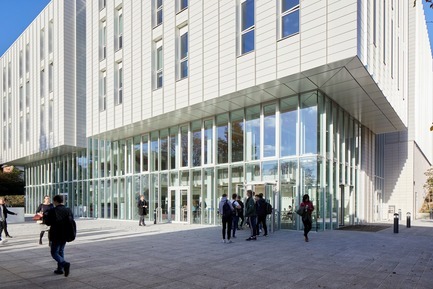 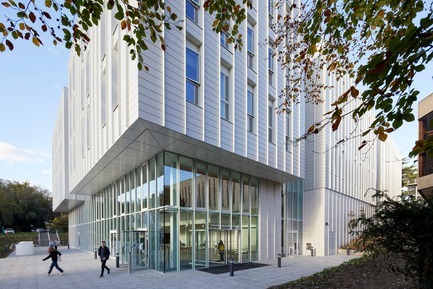 Located on the award-winning, nationally recognised University Park campus, the 6,200 m2 Teaching and Learning Building (TLB) was designed to help meet the 2020 vision for the University, to raise its international profile and provide a step change in the way education is delivered by creating a flexible space that deliberately blurs the boundaries between study, socialising and work. 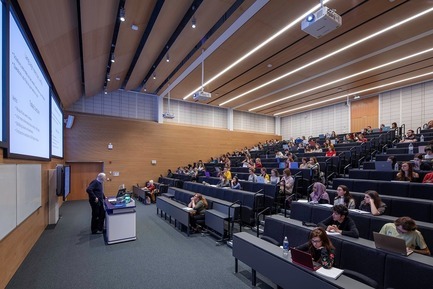 Capable of accommodating up to 2,500 students at any one time, the building includes a broad range of teaching and learning environments from a double height learning hub with a mezzanine for quieter, informal learning and peer mentoring, as well as drop-in desks, shared tables and private study rooms, to reconfigurable teaching rooms, a lecture hall with raked seating and small group discussion rooms. 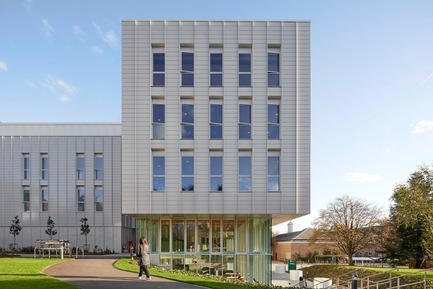 It also has a performing arts space and a number of social learning and breakout areas with views out across the campus. 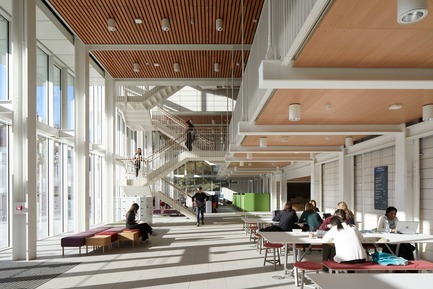 Connectivity was a key focus of the design, both internally and campus-wide. 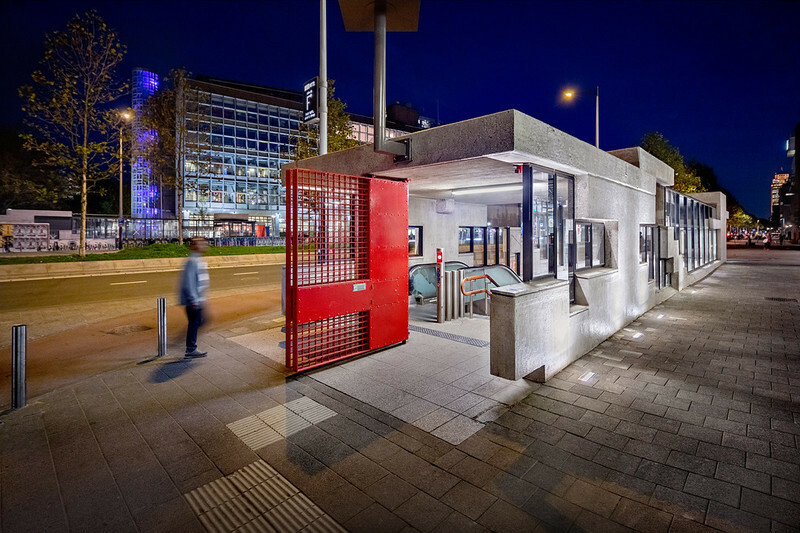 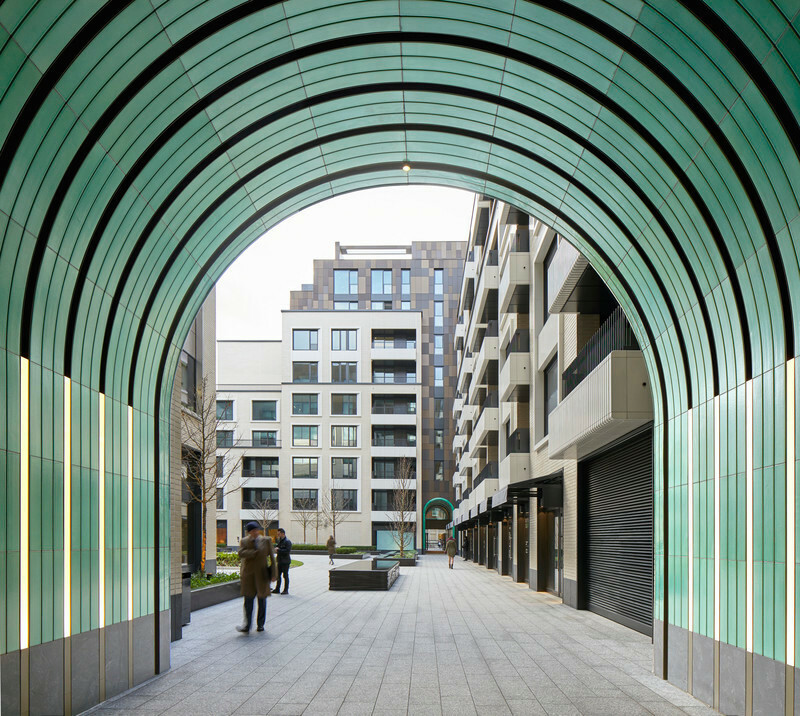 Entrances are located to pick up on key pedestrian routes to maximise permeability and provide accessibility from 360 degrees. 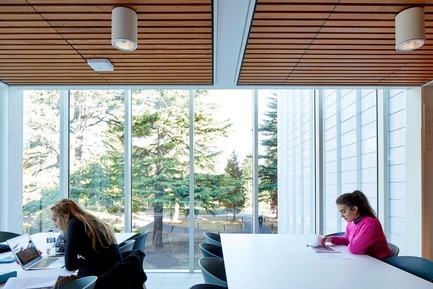 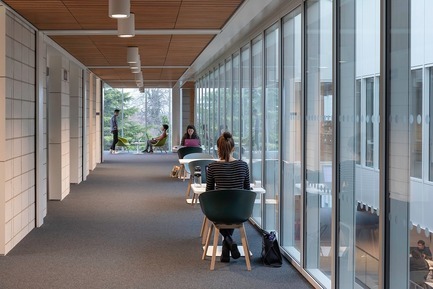 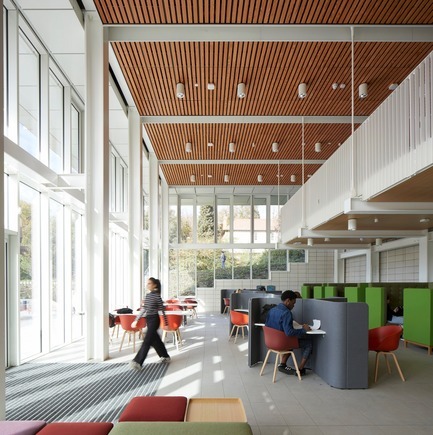 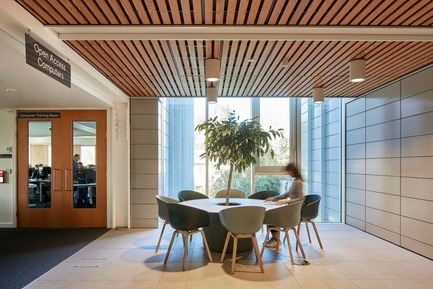 Internally, the routes converge on a central light-filled atrium space—a space for socialising, learning and meeting.The more informal learning and social spaces are located around the perimeter of the building, and are designed to promote well-being by offering views of the campus landscape and mature trees. 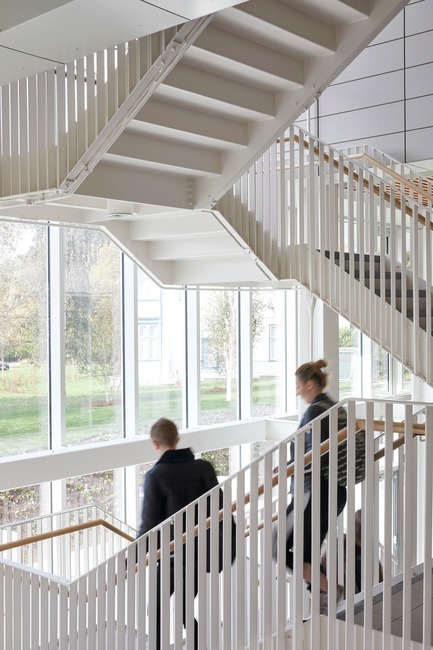 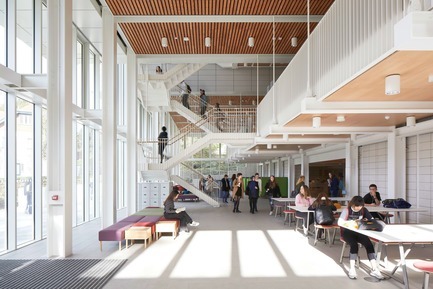 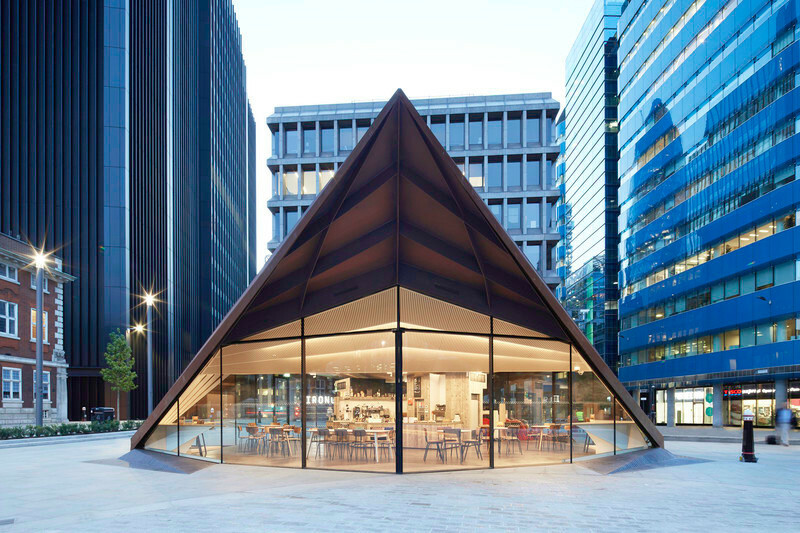 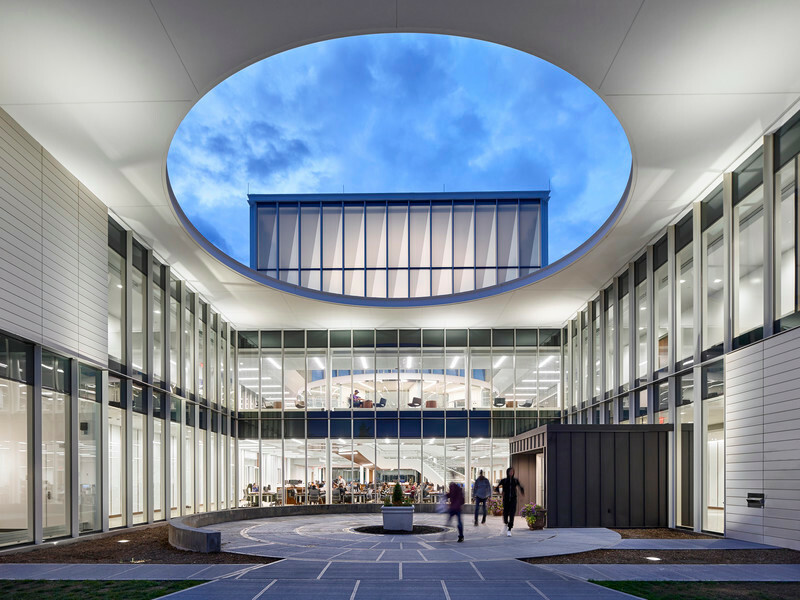 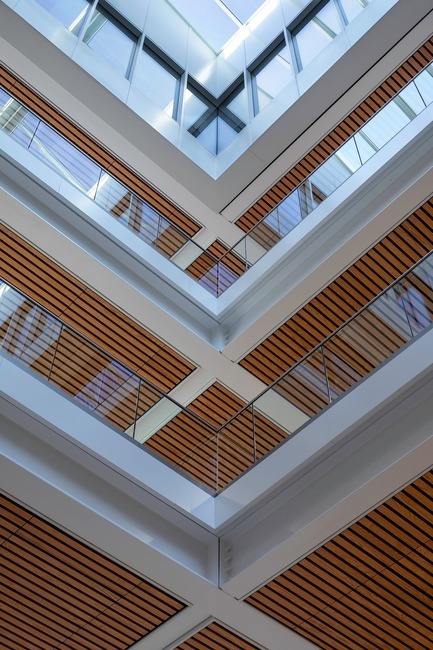 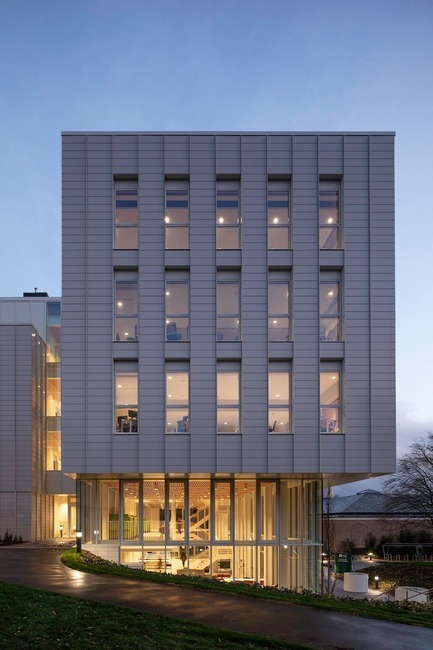 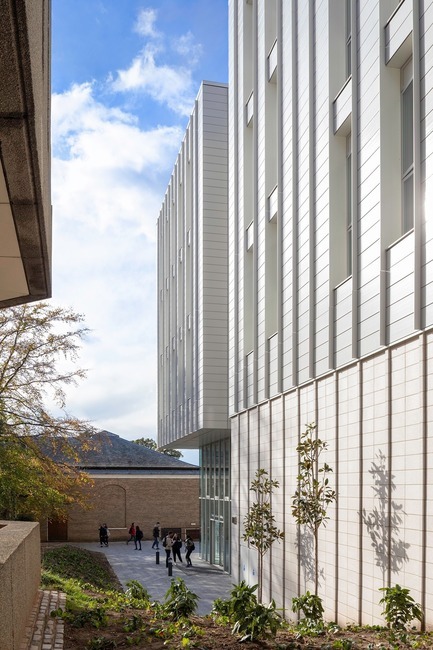 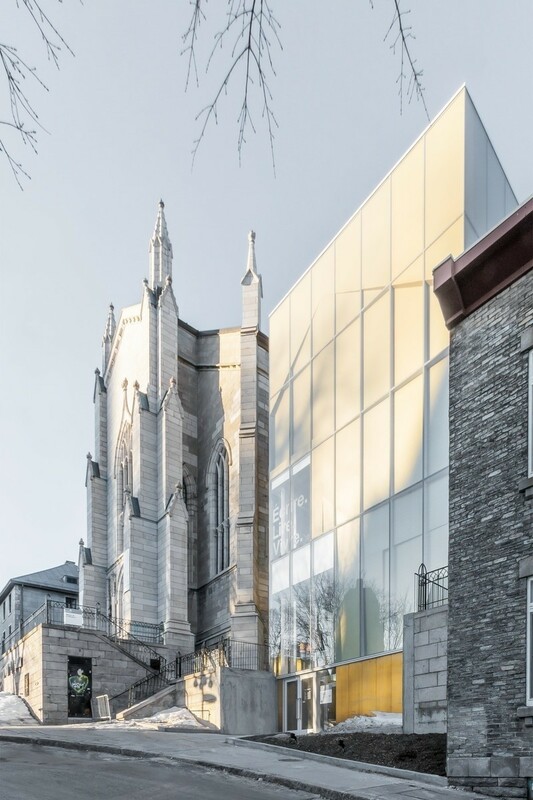 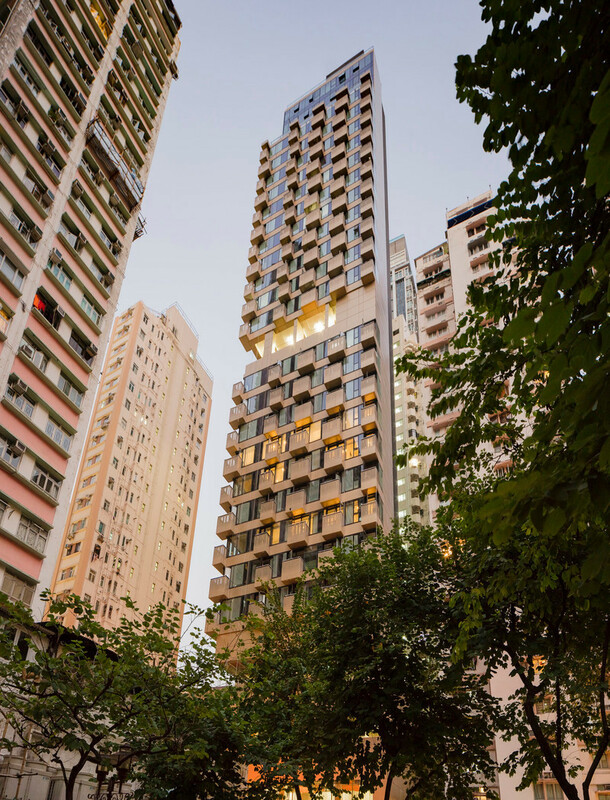 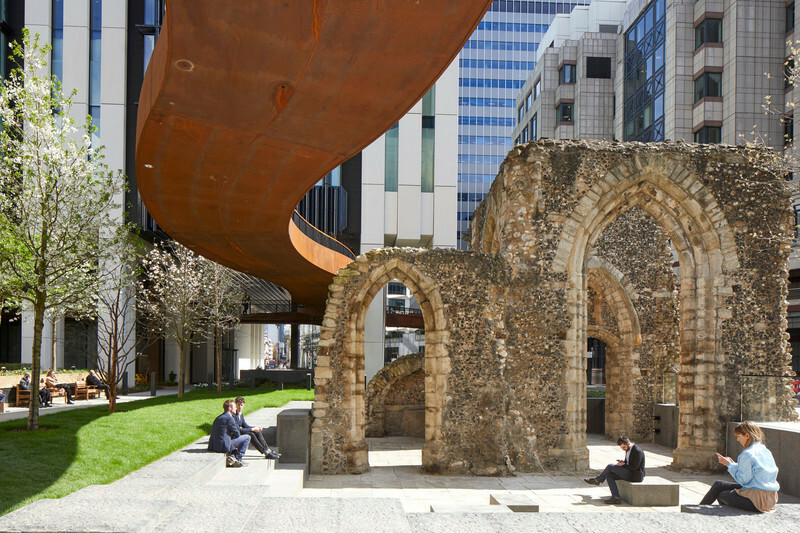 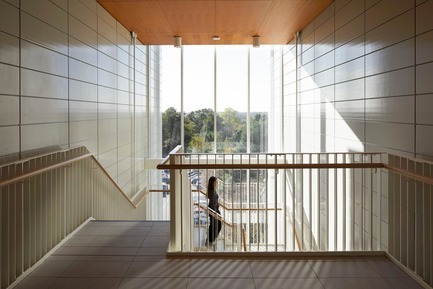 The atrium connects the spaces and provides a central focal point, as well as naturally ventilating the building and drawing in high levels of daylight. 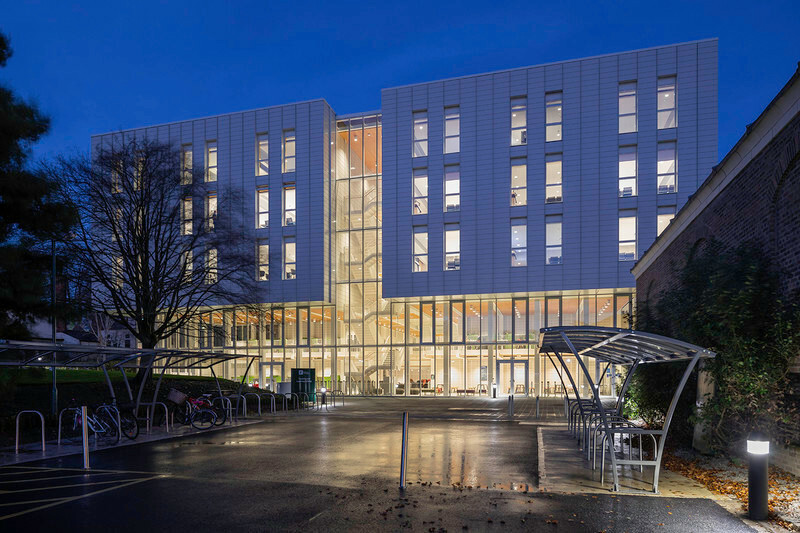 Other sustainable measures include a highly thermally efficient envelope with deep-set reveals and high thermal mass to balance heat loss and solar gain. A rigorous planning module was established early on, which enabled standardisation and a significant reduction in the number of building components and waste. 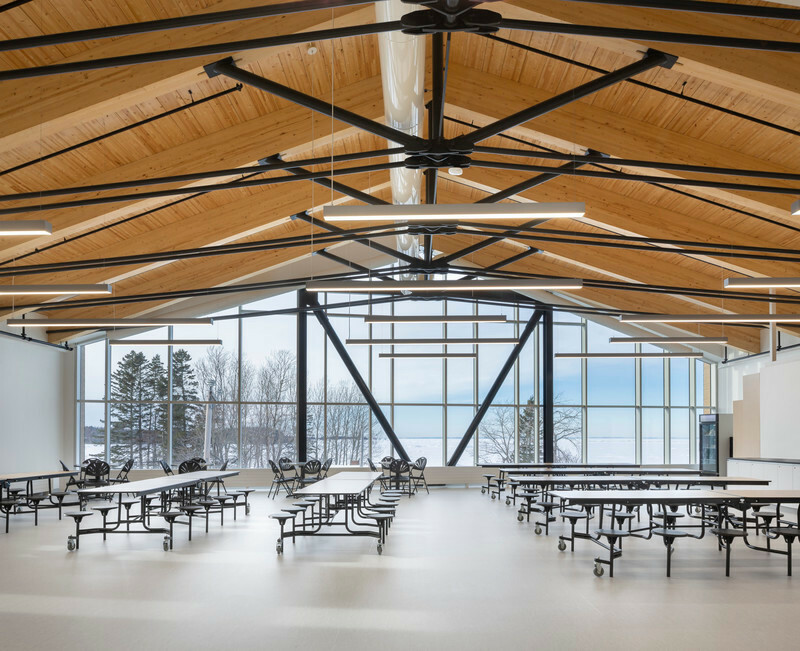 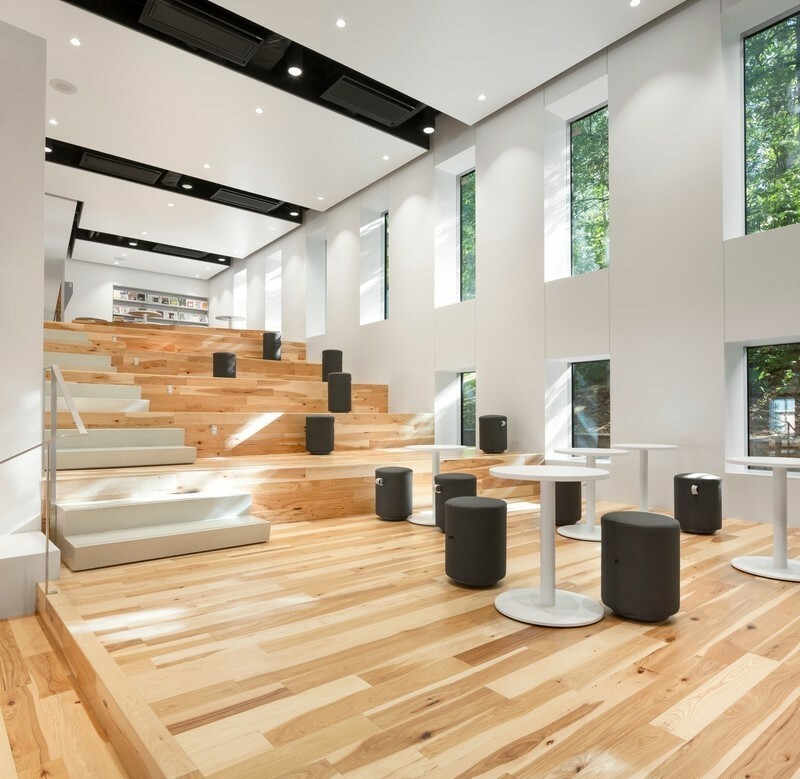 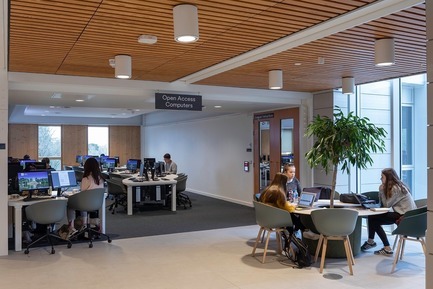 The building has a flexible framework with column free floorplates that can be reconfigured by adding or removing internal partitions; generous breakout areas with multiple functions; and movable furniture that lets students and teachers define their own interactive spaces. 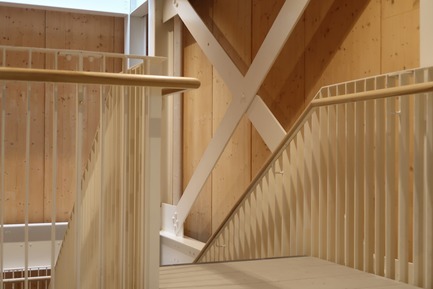 Materials have been chosen for their longevity and simplicity. 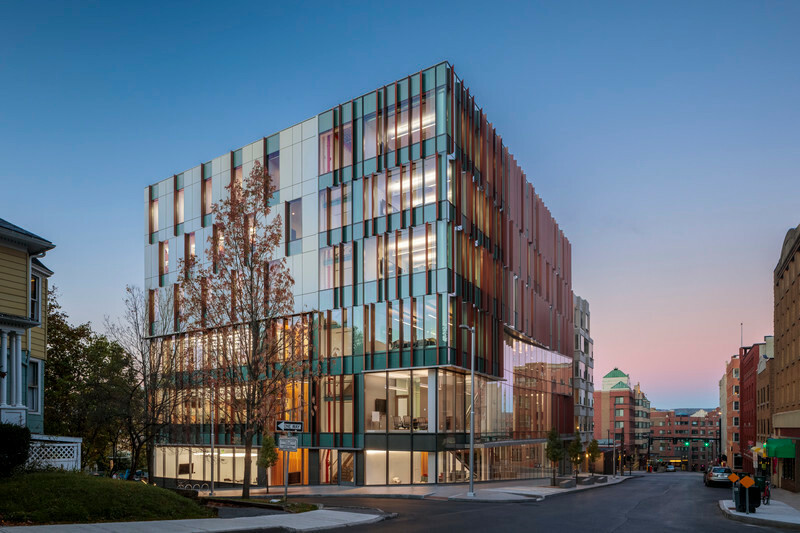 Make developed a clear, simple massing and layout diagram that showed stakeholders and planners that the setting of the adjacent buildings and trees would not be compromised.